The Foothills property is held 49% by Vior and consists of 880 map-designated claims divided into 3 claim blocks covering more than 49,571 hectares. 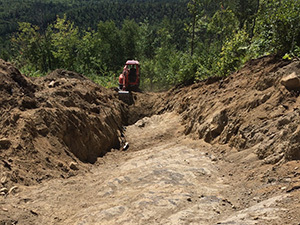 It is located near the town of Saint-Urbain, a historic iron-titanium mining camp located about 100 kilometres east of Quebec City. 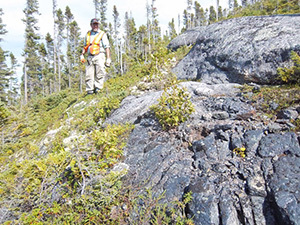 The Foothills project covers the Saint-Urbain and Lac Malbaie anorthositic complexes, where kilometre-scale trains of rutile-rich ilmenite blocks and fragments were delineated by Vior in surficial glacial sediments during the 2014 and 2015 field programs. Ilmenite blocks which contain visually significant amounts of rutile minerals yielded assay values for titanium dioxide (TiO2) ranging from 42.1% to 57.6%, with an average value of 52.5%. 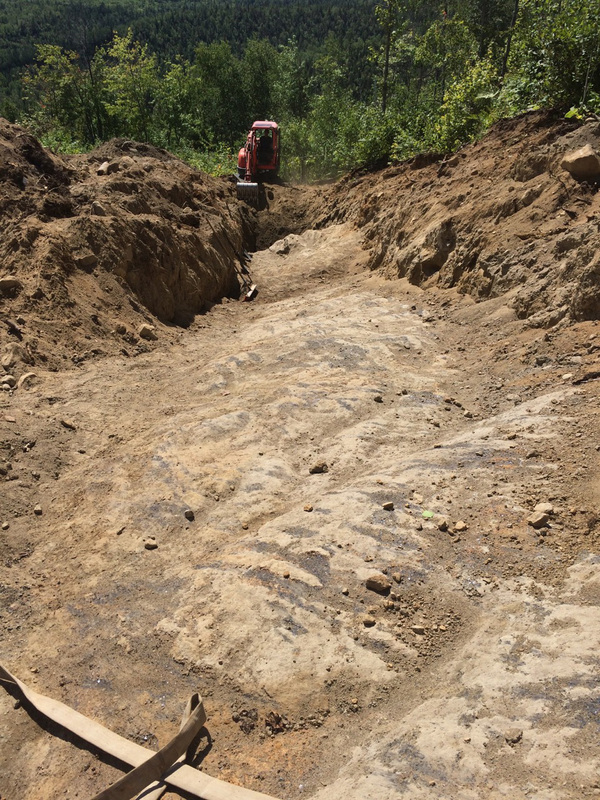 Glacial dispersal patterns in the area suggest the source of these blocks is proximal, located within a few kilometres’ distance, either in the Saint-Urbain anorthositic complex or along its contact with gneissic country rocks. 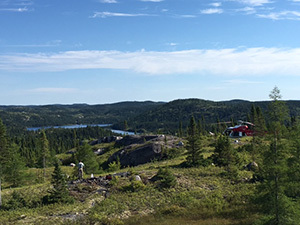 On March 9, 2016, the Company granted Iluka Exploration (Canada) Ltd ("Iluka") the option to acquire an initial 51% interest in the Foothills property for a consideration of exploration work totalling $400,000 during the first year of the agreement and an additional 39% interest for a consideration of exploration work totalling $2,100,000 no later than March 31, 2019. On August 25, 2016, the Company amended the agreement to add 140 new claims held by the Company. Iluka will pay $25,000 plus the cost of the claims, increase from $400,000 to $500,000 the amount relating to the exploration work required to obtain the initial 51% interest and increase from $2,100,000 to $2,200,000 the amount relating to the exploration work required to obtain the additional 39% interest. During summer 2016 and 2017 Vior and its partner Iluka have undertaken several rounds of geophysical survey totaling 5,533 line-km of high-resolution helicopter-borne magnetics and 154 line-km of ground gravity. 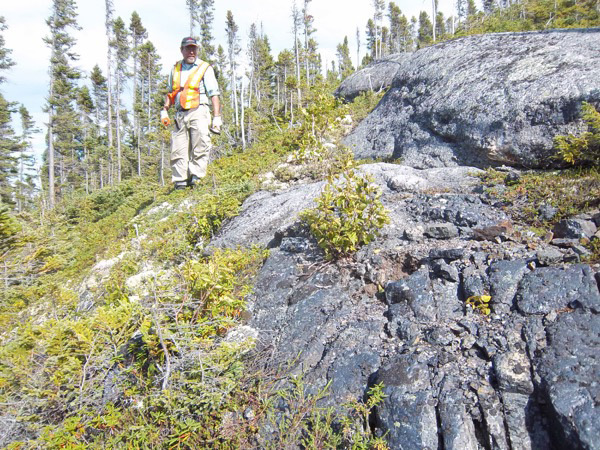 The field follow-up on anomalies generated from those surveys led to the discovery of several ilmenite showings on the property. Vior and Iluka are currently designing the 2018 exploration program that will conduct additional comprehensive geophysics and diamond drilling on selected targets.